How companies can hire the best through the World Wide Web and social networks. Despite current economic uncertainties, many companies are still recruiting, but in doing so they are seeking the best they can find. In the digital age, finding the right kind of talent through the World Wide Web, and social networks in particular, is becoming increasingly important. For example, in the US, 80% of recruitment today has some form of Web 2.0 involvement. 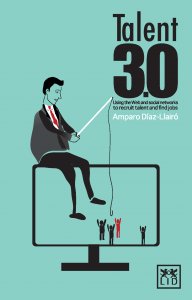 This book examines what the key success factors are behind hiring through social networks and other Web networks. At present the world of work is the closest thing to a storm on the high seas and to achieve success it is enough to know how to navigate and decide to take the helm. 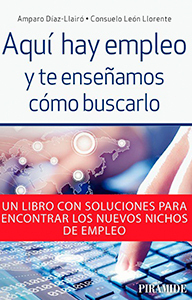 Here is employment and we teach you how to look for it is a book based on the analysis of reports and interviews with directors of departments of People Management. 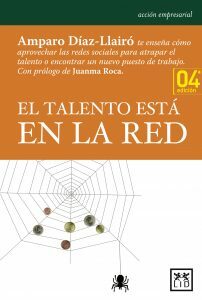 Thus, the book includes a list of new professions and addresses the arduous task of creating your own personal brand, something much more important and complex than creating a resume, and in this endeavor social networks will be our allies. Social networks have become one of the main points of contact between the HR experts and people who are in the process of job search. The first title that addresses the changing rules of the game in the field of recruitment and job search in the 2.0 era. 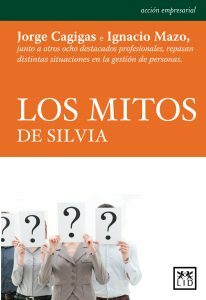 The author addresses the perspective of jobseekers shelling the key elements of a professional profile on the social networks and maintenance of personal branding. The keys to managing people in changing times. The world of Human Resources is full of generalizations head bring those responsible for this business area. So much so that on more than one occasion questions as whether it is better to have loyal people when choosing a team or not, if experience is the basic condition when someone incorporate a company, ask if a clause shielding is a sign of distrust to this candidate, how to develop a code of conduct or what is the best way to measure the impact on the formation of an employee, will resonate in his mind which indecipherable dilemma.